Since Sale was acquired from Chicago in December 2016, he is 29-12 with a 2.56 ERA, holding opponents to a .196 batting average and averaging 13.17 strikeouts per nine innings. 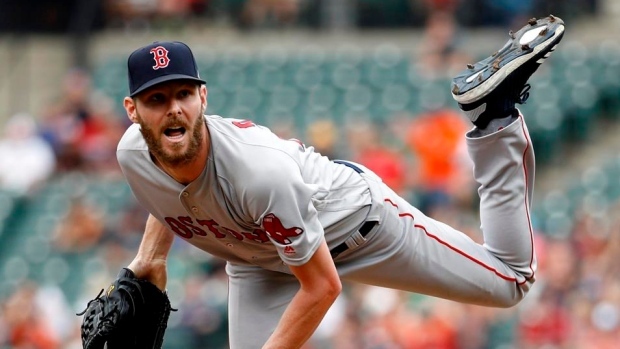 He was 1-0 in four starts and four relief appearances in last year's post-season, striking out the side against the Los Angeles Dodgers in Game 5 of the World Series to complete Boston's fourth title in 15 seasons. Boston's payroll for purposes of the tax already is about $240 million, nearing the $246 million threshold for the second surtax. Boston will pay at a 30 per cent rate on the amount above $206 million up to $226 million, at a 42 per cent rate on the amount above $226 million up to $246 million and at a 75 per cent rate above that. If the Red Sox exceed $246 million, their top draft pick in 2020 would be dropped 10 slots, as it was this year.